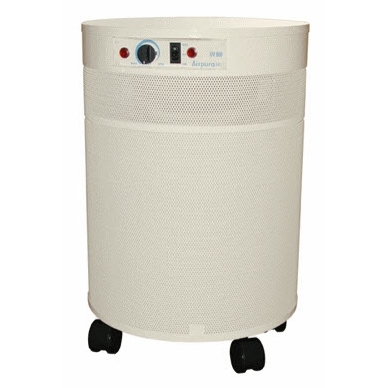 Airpura F600 air purifier traps formaldehydes, airborne chemicals, and VOCs with enhanced, impregnated, activated carbon as well as particles with its true metal capped True HEPA filter. Some of the prime chemicals filtered which can cause moderate to severe health issues like headaches, drowsiness, and rhinitis are formaldehydes, ammonias, pesticides, benezene and toulene. Perfect combination for high quality particle filtration and chemical adsorption of formaldehydes, airborne chemicals, and VOCs to assure that your indoor air quality is the safest for you and your family. For formaldehydes, airborne chemicals, VOCs, and particles. Also available in a whole home unit in black. Called F600-W. You can order the unit from us and have it installed by your favorite, local HVAC specialist. Please contact us for pricing. For formaldehydes, airborne chemicals, VOCs and particles. Coverage: up to 2000 sq ft depending on model and speed. Download Airpura F600 Spec Sheet by clicking here. 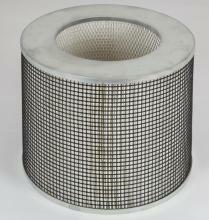 Download Airpura Filter Maintenance Sheet by clicking here. 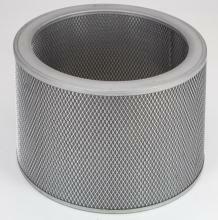 Download Airpura User & Filter Guide for 600 Series by clicking here. Download Airpura UV Performance Report by clicking here. 5.0 Finally I found a solution for the formaldehyde in my apartment! 05/31/2016 By Zoe I bought a F614 with the hepa upgraded to super hepa, but carbon blend is the same as F600. I am living in an apartment complex that was built 3 years ago. So there is alot of VOCs off gassing from the carpet, paint, cabinetry, and PVC floors. It has been really sickening for me to live in this apartment. I had tried Austin Air Healthmate+ and AllerAir MCS, and still sick at home. Then I determined that it's because those two couldn't take care of formaldehyde. So I decided to try this Air Pura F- series. I was warned that I might react to the potassium permanganate in the carbon blend as I have MCS. But I did a test to myself with permangante (as found in some ethylene gas absorbent products), and I had no reaction to it. So I decided to go for this F614 and now I can finally breathe in my home! If you know that formaldehyde is your biggest enemy for your situation, this would be my No. 1 recommendation. I also recommend testing yourself with permangante (wrapped) if you have MCS.